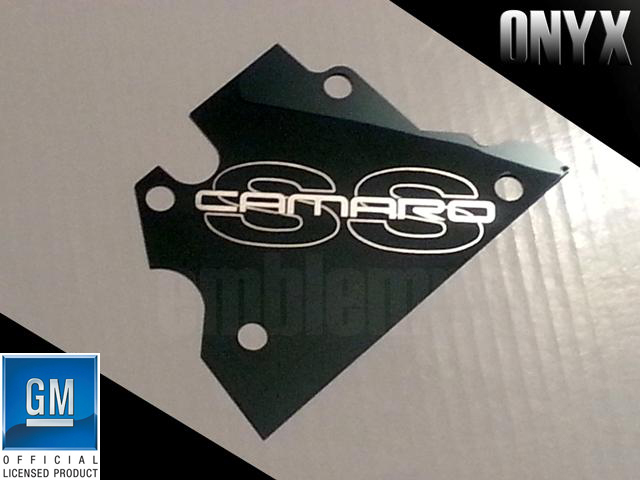 1998-2002 LS1 ENGINE HEADPLATE 'CAMARO SS'; can be used on any LS1 Camaro SS Engine. Laser-cut from premium, black mirror finish stainless steel - Our ONYX Series. Packaged with four (4) chrome plated button head bolts for mounting. *NOTE - We include chrome plated, button head bolts with your purchase. Our competitors charge extra for these. We can also customize these to suit your needs. Please email us for info.